Today is the Day! Someone Will WIN today! It is the last day of 2014 and someone that places an order at Giving Gifts will WIN their order today! Giving Gifts is SO close to our 600th online order this year! If we receive the 600th order before Midnight PST on December 31st, 2014, the person that placed the order will receive their entire order for FREE! The full cost of the order, including shipping, will be reimbursed. There are only 16 hours (or less) left in 2014 and I am so excited to have someone WIN! We are SO SO SO CLOSE! I can't tell you how close or I'd be giving it away, but get that order in and you just might WIN! Someone that orders today will win for sure! If you need another bonus incentive, all orders placed in 2014 are shipping out with a $10 OFF coupon code on a future order. Also, remember that shipping is increasing in 2015, so GET THAT ORDER IN NOW! Shipping in 2014 is only $5 in the Lower Mainland and $8 to the rest of Canada and $12 to the USA. Please Note: I always do my best to fill orders quickly, but due to the high volume of orders recently, the website is not always up-to-date with stock. Thanks for your understanding. You will be notified of any items that are not available and offered a replacement item or an expected ship date AND a discount on your order because your happiness is my priority. 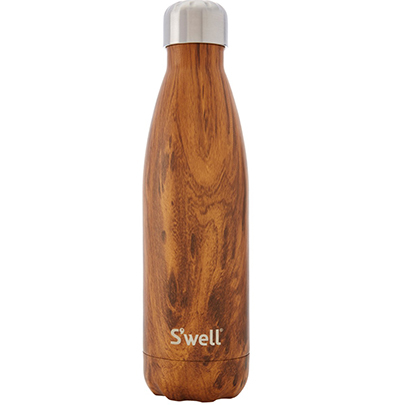 And, YES I do have bestselling Teakwood S'well bottles in stock! There are only 5 left though. They were the item that everyone wanted this holiday season. These are amazing double insulating bottles (cold or hot) and S'well plants a tree for everyone sold. So great karma all around! I am so EXCITED for someone to WIN their entire order! Make sure to place your order by Midnight PST on December 31st, 2014 and be the 600th order and you'll WIN! Huge thanks to all our amazing customers for a fabulous year at Giving Gifts! I truly appreciate your support year-round and this time of year when holiday shopping is winding down, I have the time to reflect and say THANK YOU for making a difference with your purchases this year. I hope you gave and received gifts that give this holiday season.